The Auto-vent or Air Admittance Valve allows air to enter into the laundry to landscape greywater system but doesn't allow water to exit. It is used to prevent a siphon from sucking water out of the machine as it tries to refill. To connect this piece to the rest of the system you will need a 1 1/2" threaded female adapter, and a 1 1/2" x 1" bushing. Note: This valve is not connected to the drainage plumbing of the house, and is not being used as a vent. 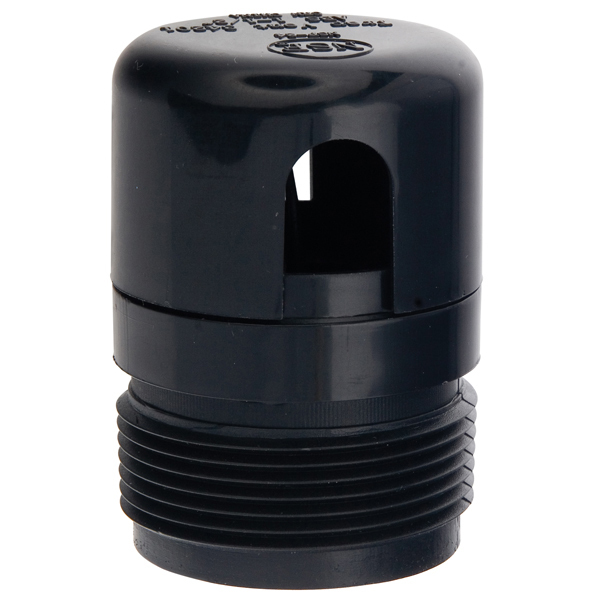 Note: This valve could leak if the seal failed, so its best installed outside, or in a location where a leak would be detected and the valve could be replaced. It should never be installed in an inaccessible location or inside of a wall.